I recently I did a full on review on Lilacism and you can read more about it here. I can only say that it is definitely my favorite spring nail polish and I love it to pieces! It looks so pretty and makes my hands look super tanned, plus it stays on the nails for absolute ages and I cannot recommend it enough! I really hope you enjoyed this post, beauties! Definitely let me know which are your favorite Spring nail polishes, I’d love to add some new ones into my collection! :) Have a fab day! Beautiful pastels :) Mint Candy Apple is one of my all time favourite polishes, so I'm happy to see that little friend of mine in there haha! I love pastel nail polishes! these are all such pretty colours! I'm in love with all Essie nail polishes! They stay on for sooooo long! Mint Candy Apple is my all time favourite colour. I love pastels but I never seem to pick any up when I go shopping! I have the mint and lilac shade from Essie and love them! I will definitely be digging out my pastel shades for this spring! 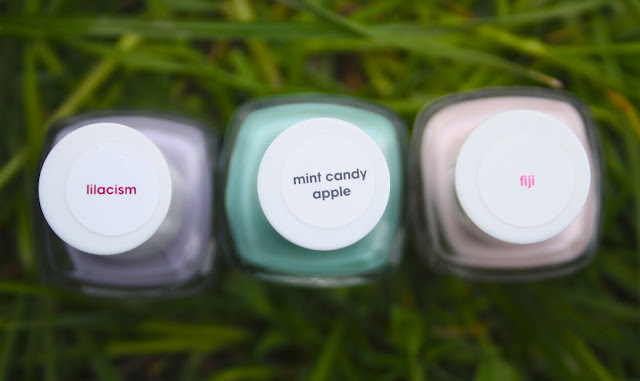 I really need to get my hands on some of those Essie ones! Oh my these are all so beautiful - I wanna pick up Fiji! All beautiful! I'm so glad spring is here so we can all rock these pretty pastels! Great picks! I love Mint Candy Apple too though I don't find it applies well at all... maybe just my bottle. 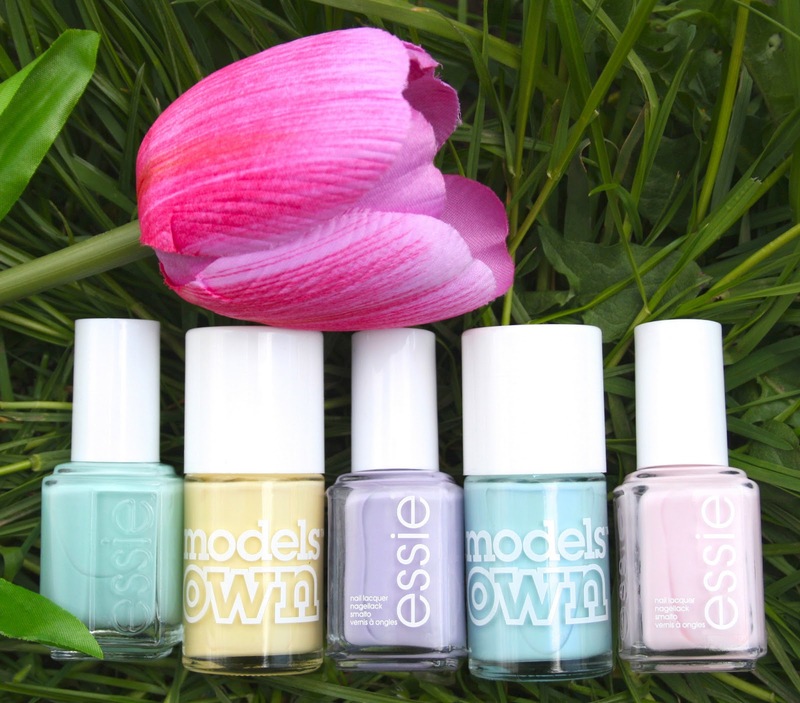 wow really love them all, so beautiful and the pastel colors are perfect for spring! I am in love with these colors!! It's so pretty!!! Are you using a topcoat?? If so, which one because I love how your nails look! These are such pretty colours! Love the pastels...cant possibly pick a favourite from these 5. They are all such lovely colours especially lilacism! Fiji is my favorite!! I still have to try out Mint Candy Apple somehow I haven't bought it yet!! Love the mint candy apple color!! I want it! Fiji looks great too! Actually they all look great, but I think I might be able to pull off the mint candy apple and fiji haha, not the other colors! <3 adorable- every each polish is beautiful but together it looks even more cute! I've only just tried my first bottle this week ^^. These are SO pretty! I love pastel colours :D I am a new follower, and would love for you to check my blog out at some point? Wow I LOVE that light pink hue and the yellow colour, stunning picks for spring! These are always my favs! I can wear these colors all year long, pastels are an obsession! I am really loving Bloo boo! Love the Lemon Meringue! It's so hard to find the right yellow for your skin! 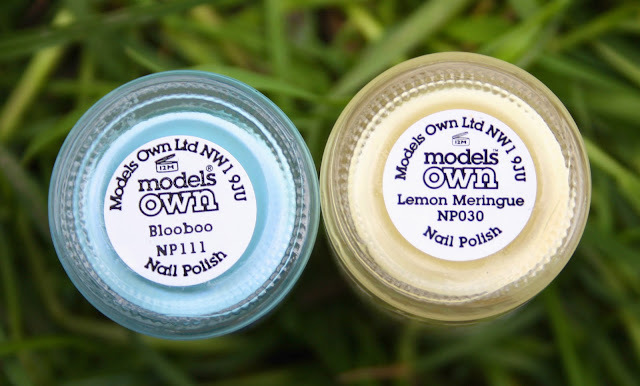 If you like Fiji, I urge you to hunt down a bottle of OPI's Mod About You. It's a sligthly more blue-toned light pink and it's opaque in 2 easy coats! It's hard to find a pastel that covers in so few coats! Happy Wednesday! They are lovely colours! I'm sad that I have to wear 'natural' colours for work. Bleh! Great post! Your nails are so pretty! Thanks for following us- we just LOVE your blog and feel so honored to have such a highly-acclaimed blogger follow a newby like us! Thanks again! I love these pastel colours! Especially the mint one is so cute! Love these colors! My favorite is the Lilacism!